We loved the winter markets so much we're back breaking news about the spring markets that Bedrock & Quicken Loans so graciously put on again this season. 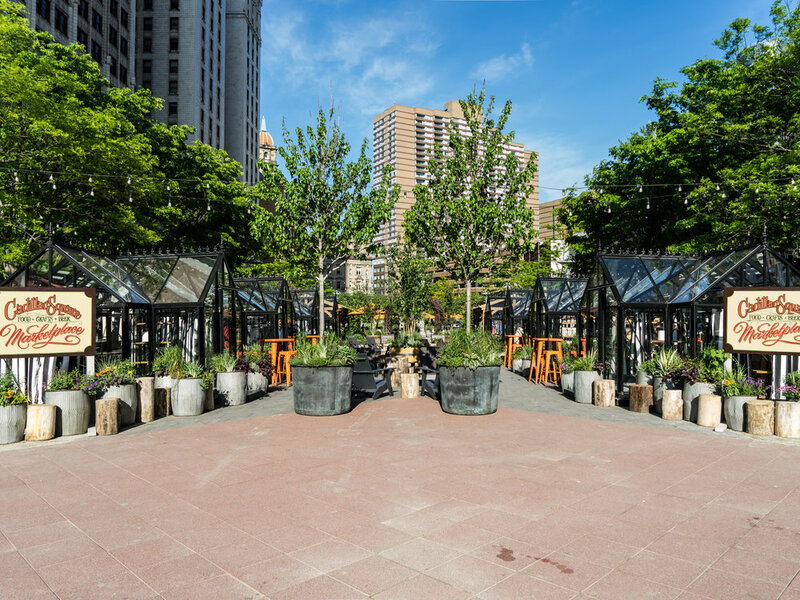 Like the winer markets, located throughout downtown at 1441 Woodward Collective, Campus Martius and Capitol Park, 30 local vendors, mainly female and minority owned businesses will setup shop this spring and summer AND WE CAN'T WAIT. Here's a breakdown of everything you need to know! 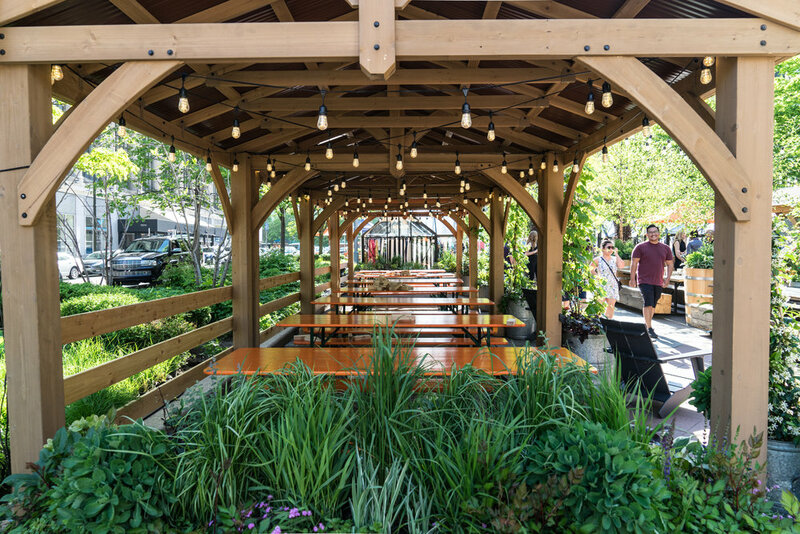 A seasonal beer garden equipped with strawberry frosé, Atwater Beer, rosé and other adult beverages. Food by our friends at Central Kitchen + Bar. The food menu looks summery and delicious everything you would want to eat while wetting your palette with some brews - Bavarian pretzels, German charcuterie, hamburg flatbread and more! This area also has four basketball courts and other games like giant Jenga and bags. Perfect for a family day out! Ink Detroit: Apparel that embodies "Detroit Pride and Love." York: Streetwear designed & printed in Detroit. Flamingo Vintage: Men's and women's clothing and accessories that date back to the 1920s through 1970s. This part of the market really excites us this year as there are eight local vendors, a rotating chef kitchen & bar and a farmer's market planned every Tuesday - I mean what else do you need for the perfect spring/summer setup?! dale&blue: 100% hand-dyed linen goods produced in small batches. SAHI Cosmetics: Luxury makeup made for ethnic skin tones. Paisley Paper Co.: Cute cards and paper goods. Pewabic Pottery: Handcrafted ceramic art that's been in Detroit since 1903. Fly Behavior: A stylist-curated collection. Ferne Boutique: Women's clothing for all ages. David Vintage: "A Haute Couture Streetwear lifestyle brand" for men and women that offers streetwear, outerwear and unique accessories. Goldeluxe: Brass, sterling silver, 14K gold and 14K gold fill jewelry. Pingree Detroit: Leather and hemp totes brought to life by localized, sustainable, community-supported production powered by veterans and civilians. We hope you'll be able to make it to downtown soon to experience the markets as they open to the public tomorrow (Friday, May 25th!) See you there!